Nov. 7, 2017 8:00 a.m. 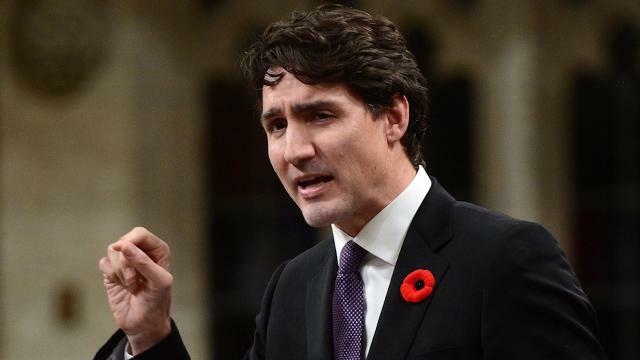 The Trudeau government’s politically bruised promise to ensure “tax fairness” for the middle class took another beating Monday amid unfolding revelations about the widespread and perfectly legal practice among ultra-wealthy Canadians of harbouring cash in offshore tax havens. Included among the 13.4 million leaked documents, dubbed the “Paradise Papers,” were the names of former Liberal prime minister Jean Chretien and top party fundraiser Stephen Bronfman — the mere mention of whom gave fresh ammunition for the opposition to accuse Prime Minister Justin Trudeau of leading an ethically challenged government. Neither the Canada Revenue Agency nor any court has determined that any of the Canadians identified in the documents did anything wrong, and both Bronfman and Chretien denied any involvement in offshore tax avoidance schemes. Still, Conservative Leader Andrew Scheer branded Trudeau a hypocrite for aggressively seeking to end tax advantages for small businesses, while doing next to nothing to crack down on complicated tax haven schemes used by the super-rich. Guy Caron, the NDP point man in the Commons, joined in the fray, accusing the CRA of always letting the “big fish” go when it comes to tax evasion. Trudeau refused to talk about any specific cases mentioned in the documents, but vowed to investigate Canadian connections. “We are fully committed to fighting evasion and tax avoidance. I will let individuals comment on their own situations, but in regards to the Paradise Papers, the CRA is reviewing links to Canadian entities and will take every appropriate action,” he told the Commons during question period. The details, released by members of the International Consortium of Investigative Journalists, mark the largest-ever leak of tax haven documents involving Canadians. The documents — client records from offshore law firm Appleby, as well as some records from offshore corporate services firms Estera and Asiaciti Trust — contain the names of more than 3,000 Canadians. According to the Toronto Star and CBC/Radio Canada, records suggest Bronfman and his family’s Montreal-based investment company, Claridge Inc., were linked to an offshore trust in the Cayman Islands. The report raised questions about a complicated series of transactions involving people with Liberal party ties. In a statement, Bronfman said he made a single loan on an arm’s-length, fully commercial basis some 25 years ago to the trust that was repaid five months later, a transaction that was fully in compliance with Canadian law. Bronfman, a close personal friend of Trudeau, said he has never funded nor used offshore trusts, and that all his Canadian trusts have paid all federal taxes on their income. “Stephen Bronfman is a proud Canadian and has always fully complied with all legal requirements, including with respect to taxes,” the statement said. Also among the leaked documents was a register of investors in Madagascar Oil that lists Chretien as having received 100,000 stock options. In a brief statement of his own, Chretien said Madagascar Oil was a client of Heenan Blaikie, a now-defunct Canadian law firm. As a lawyer with the firm, Chretien said he did some work for Madagascar Oil, but all fees were billed by and paid to the law firm itself. Tax avoidance measures involving offshore trusts are legal, provided that the trust is genuinely managed offshore and that Canadian taxes are paid on any Canadian contributions. And there may be other legitimate reasons for setting up an offshore account, including if you’re a contractor doing work in a particular country. “In setting up an offshore, you’re not ‘getting away with not paying your fair share of taxes,’” said Ian Lee, an assistant business professor from Carleton University. The Paradise Papers are just the latest revelation to tarnish the Trudeau government’s self-proclaimed title as champion of the middle class. A plan to end put an end to wealthy individuals using incorporation to reduce their tax burden was widely perceived as an attack on small business owners, forcing the government to adjust or drop the proposals. The government has also been forced to disown a CRA directive that employee discounts — including those given to minimum-wage workers in the retail sector — are considered taxable benefits. And it is still struggling to explain why diabetics are suddenly finding themselves ineligible for a long-standing disability tax credit. The Liberals vowed to crack down on tax avoidance schemes when they first took office two years ago, pumping some $1 billion in new spending into the Canada Revenue Agency to collect unpaid taxes from Canadians who sheltered their income in low-tax havens. As the result of audits over the past two years, the agency says it has identified some $25 billion in unpaid taxes, interest and penalties but it’s not saying how much has actually been collected to date from those using the schemes. The federal government estimates it loses about $8.7 billion in tax revenue each year from individuals, not including corporations, who use offshore accounts and trusts. With the latest revelations, the estimate is likely to exceed $10 billion, according to advocacy group Canadians for Tax Fairness. Closing that gap is something Canada can’t do alone, Families Minister Jean-Yves Duclos said after a cabinet meeting Monday.